Lakeith Stanfield, Nnamdi Asomugha, Natalie Paul et al. In the spring of 1980, a teenager is gunned down in the streets of Flatbush, Brooklyn. The police pressure a child witness to identify a suspect. As a result, Colin Warner, an 18-year-old kid from nearby Crown Heights, is wrongfully convicted of murder and sentenced to life in prison. Colin’s childhood friend Carl 'KC' King devotes his life to fighting for Colin’s freedom. He works on appeals, takes loans for lawyer fees and becomes a legal courier to learn the court system. 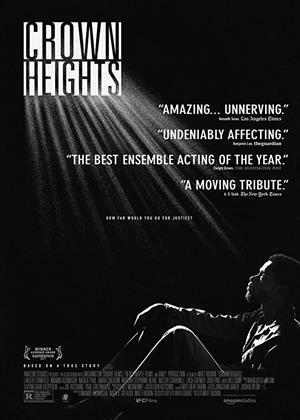 This incredible true story is based on the acclaimed This American Life piece and adapted by writer/director Matt Ruskin, with Lakeith Stanfield playing Colin Warner and Nnamdi Asomugha as Carl King.